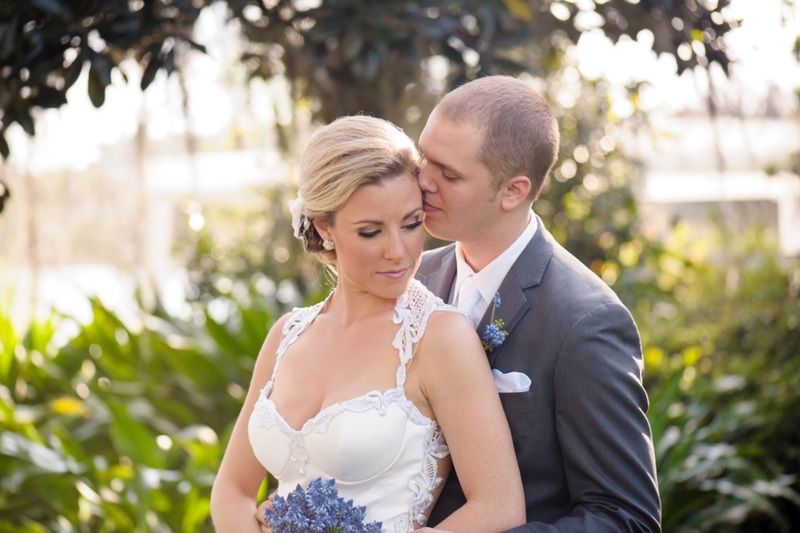 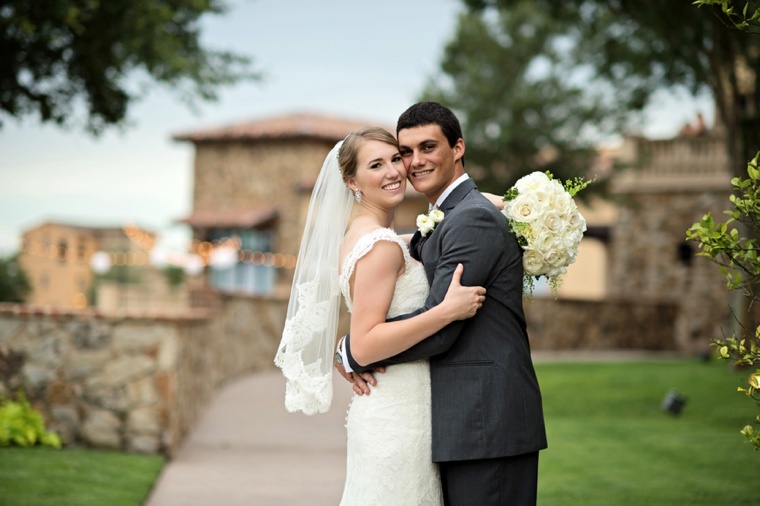 Mackenzie and Beau began their next great adventure together this past March at the Cypress Grove Estate House. 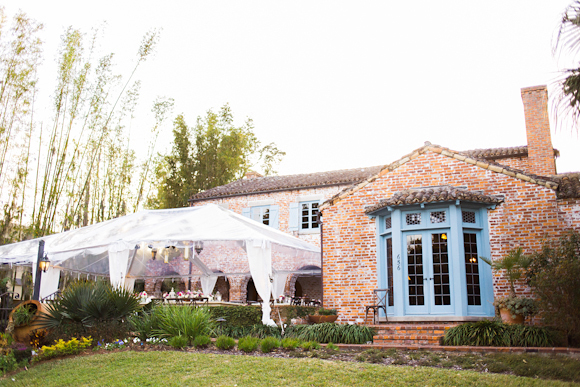 Their vision of a sophisticated rustic wedding was achieved with the assistance of Blush by Brandee Gaar with their long-time photographer and friend The Canovas Photography capturing every priceless moment. 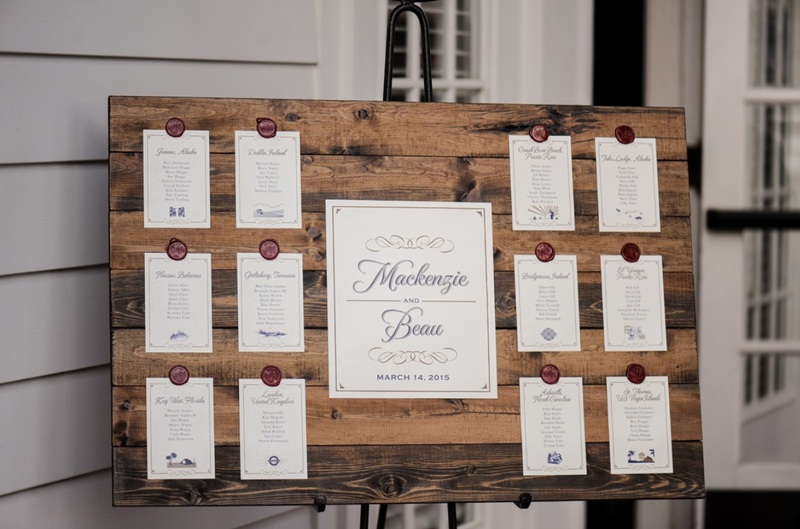 Mackenzie was inspired by her and Beau’s travels to Ireland and Alaska, and wanted to incorporate the natural beauty and earthy tones of those locations. 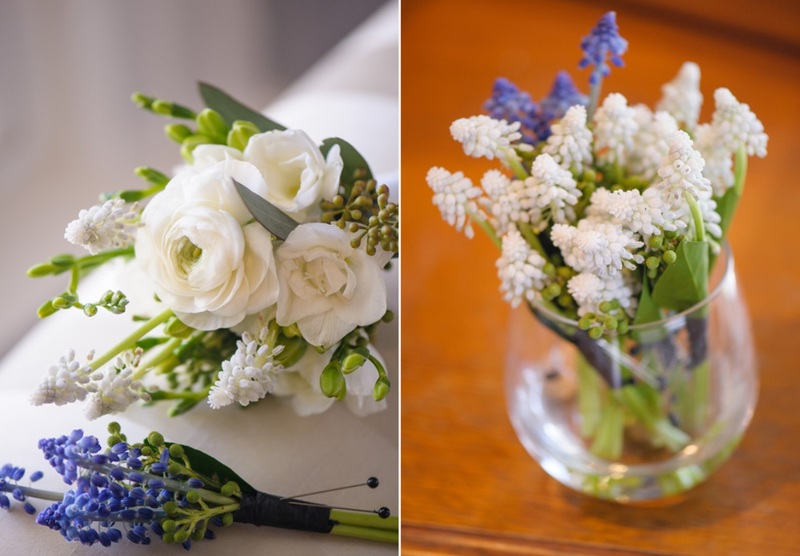 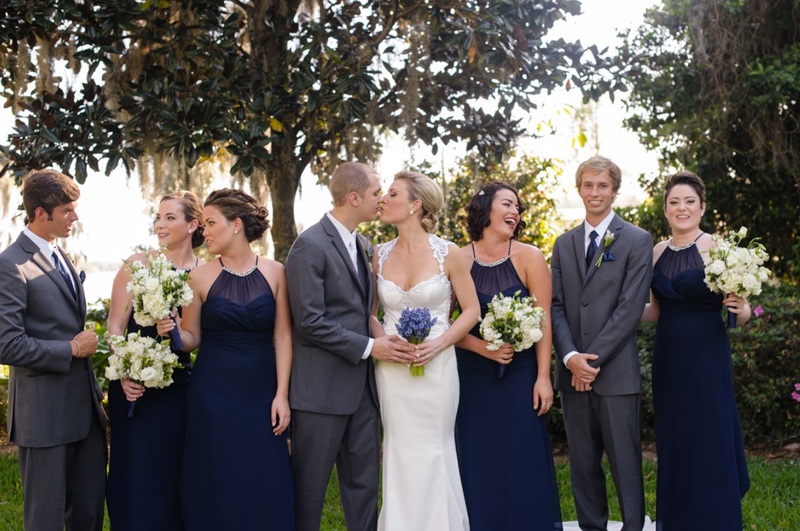 She envisioned a navy blue theme with hints of blue, white, green and brown tones, so we created bouquets of white roses and white muscari for the bridesmaids’ bouquets and elegant blue muscari for Mackenzie’s bouquet, with complementing boutonnieres for Beau and his groomsmen. 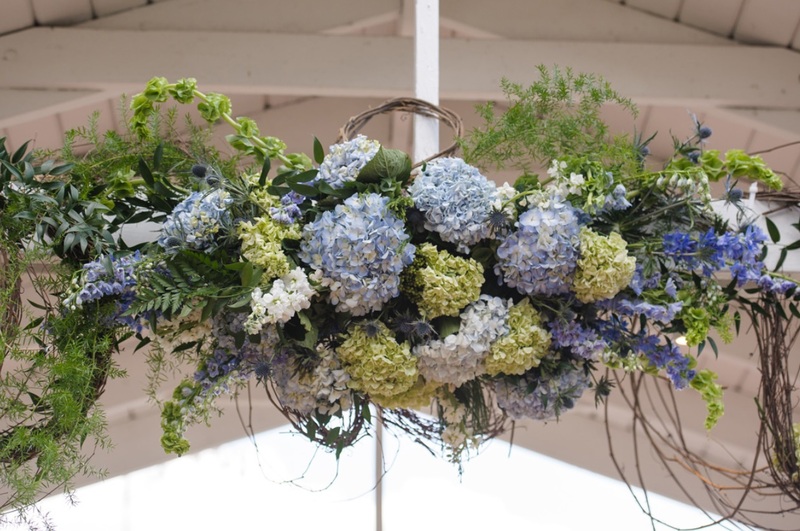 For the ceremony floral, we created a variety of arrangements with powder blue floral surrounded by white accents and greenery. 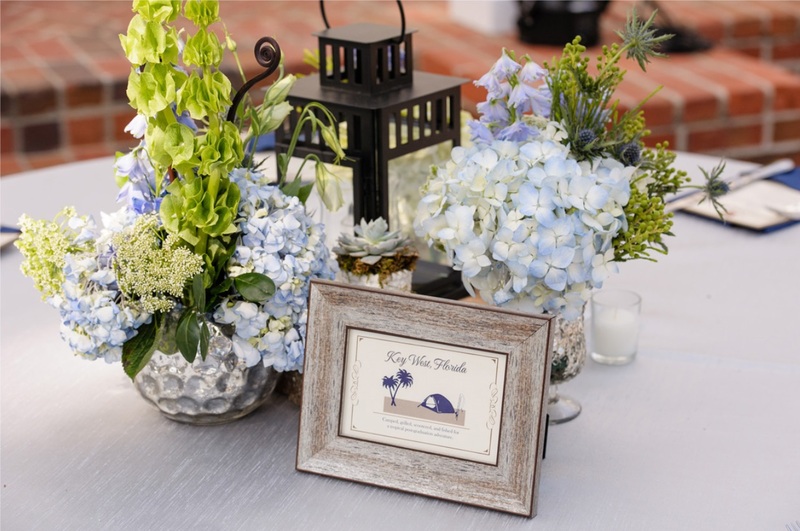 Our powder blue and white floral centerpieces surrounded rustic lanterns on each reception table, along with French country chairs provided by A Chair Affair and personalized table numbers designed by Dogwood Blossom Stationery & Invitation Studio, LLC reflecting the destinations the couple have visited together. 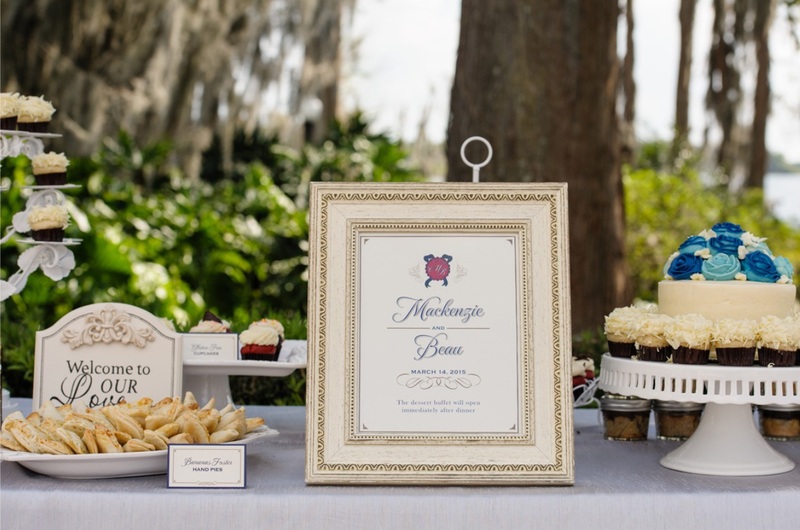 For the main course, Mackenzie, Beau and their guests enjoyed the catering talents of Big City Catering ending with gorgeously designed wedding cupcakes by Sweet by Holly and an assorted dessert bar created by Two Sweets Bake Shop. 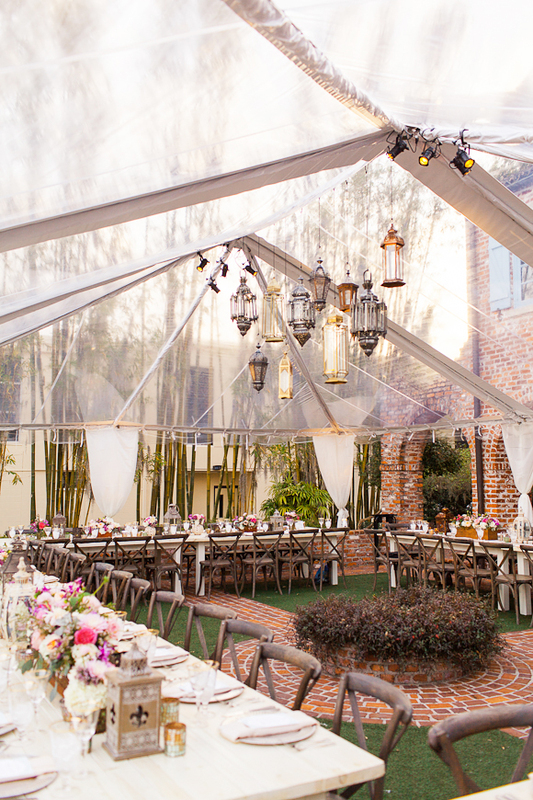 What made Mackenzie and Beau’s celebration unique and over-the-top was the entertainment. 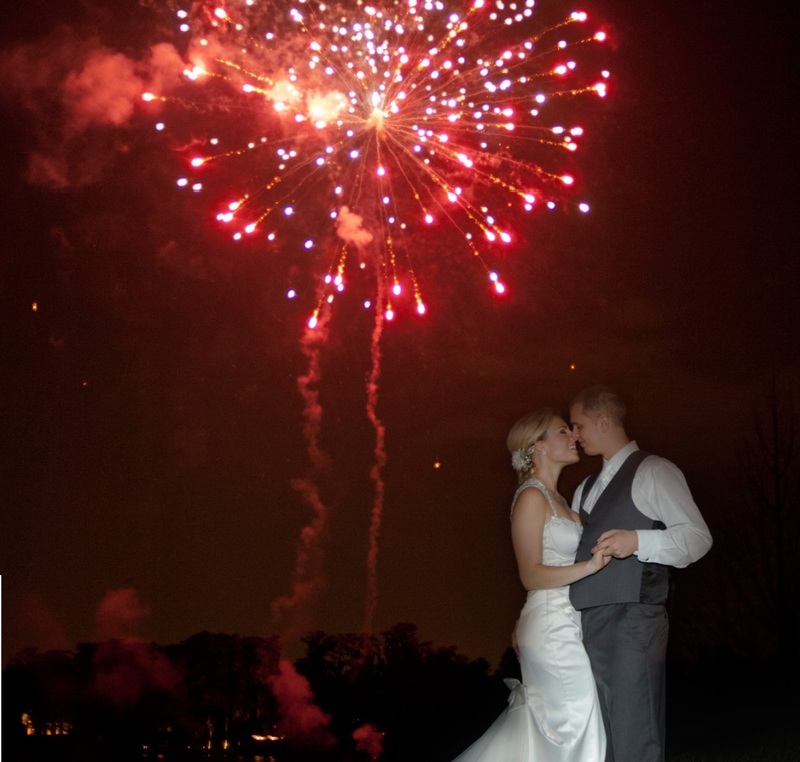 Not only did Mackenzie plan a choreographed father-daughter dance, but she had another ace up her sleeve: a fireworks show! 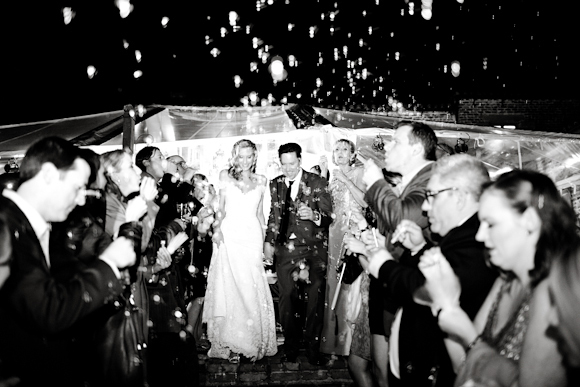 She and her husband conferred with Messina Productions about not only musical entertainment, but a nighttime show as well. 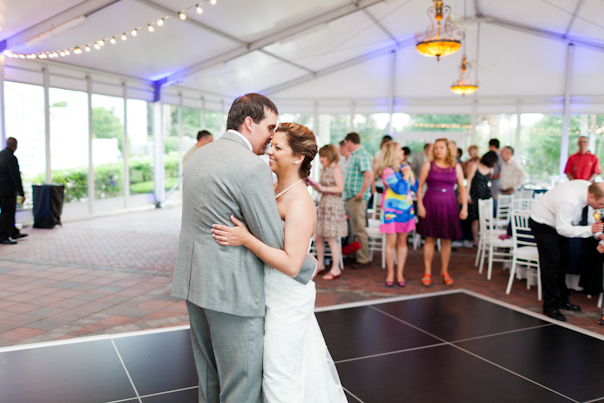 They pulled it off flawlessly, with the newlyweds dancing together to “Fireworks” by Katy Perry. 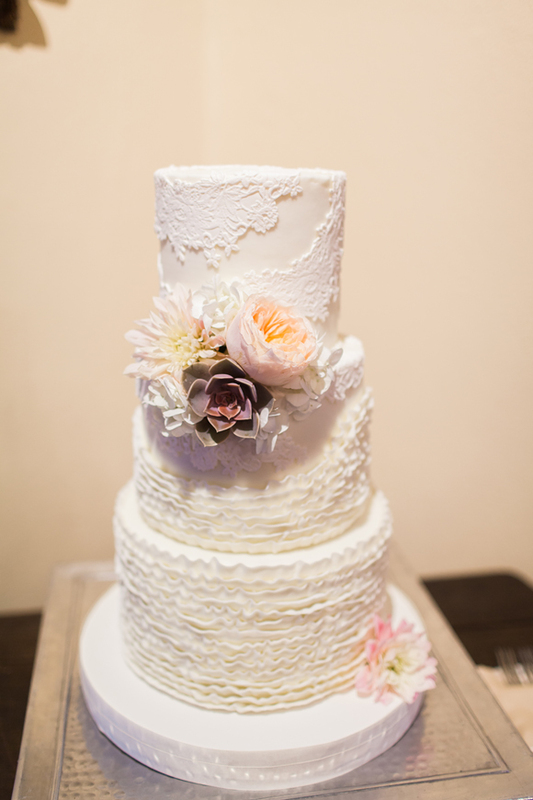 It was the perfect end to an unforgettable day. 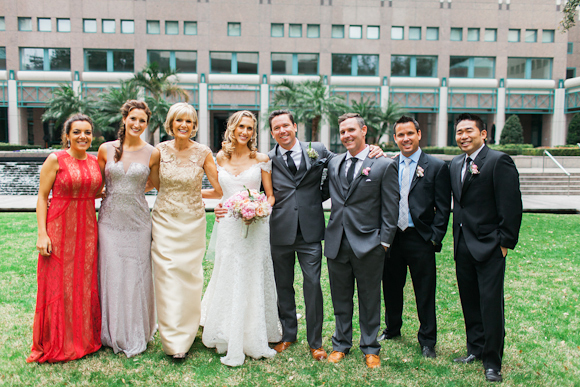 Stephanie and Mark flew in from California to share their wedding day with their family in Florida. 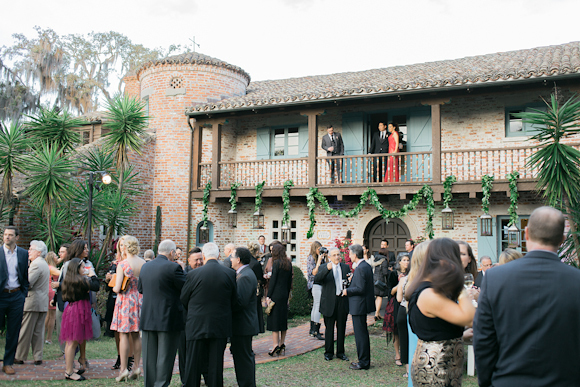 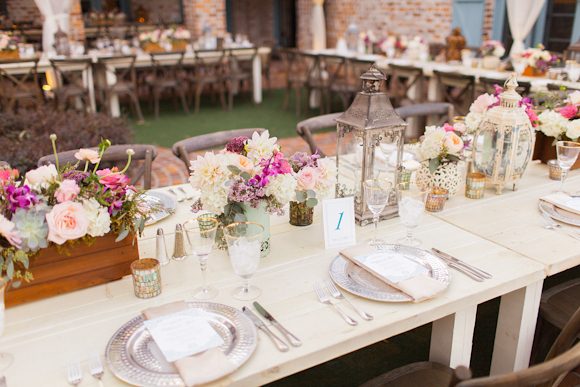 Casa Feliz was the perfect location for their Moroccan-inspired celebration. 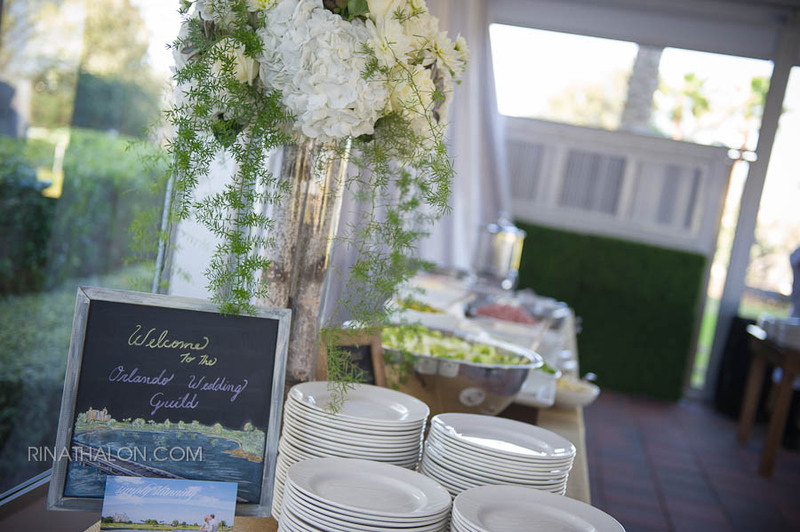 Blush by Brandee Gaar worked their magic in planning the ideal dawn to dusk affair while Andi Mans Photography captured every moment. 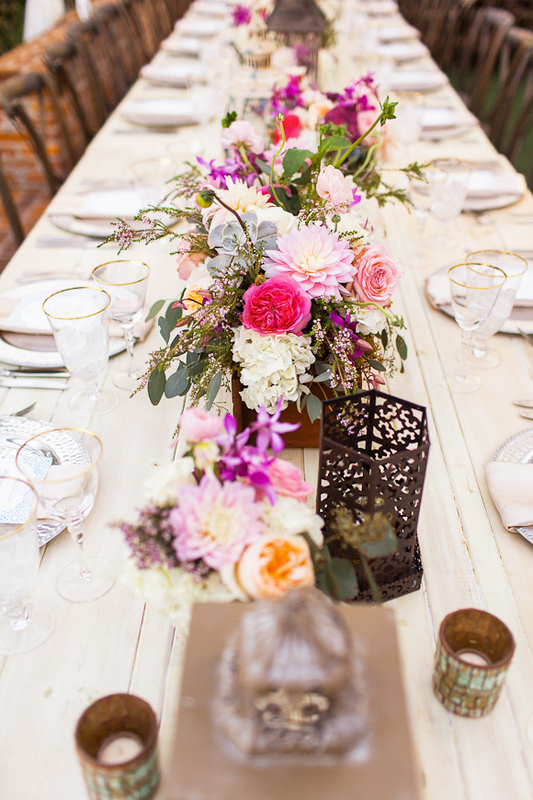 In order to mirror the romantic aura of the occasion, we chose the spectrum of pinks, accented with different textures of greenery, for the floral arrangements. 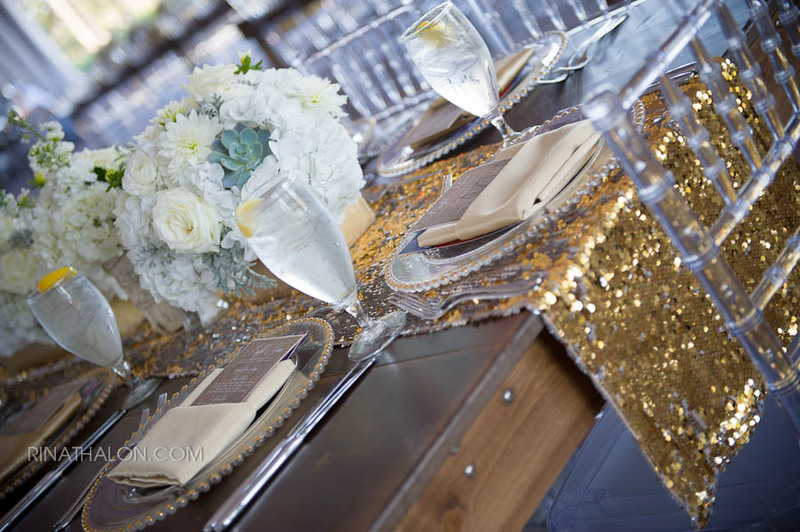 Not only did they complement the bride’s gown from Calvet Couture, but they added to the eclectic Moroccan flare of the reception. 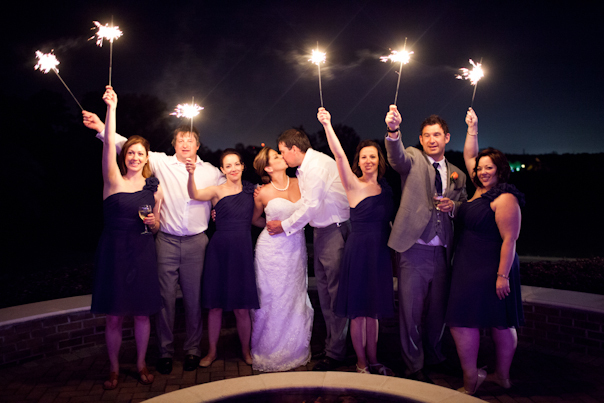 Stephanie, Mark and their guests continued the party as daylight transitioned to the night. 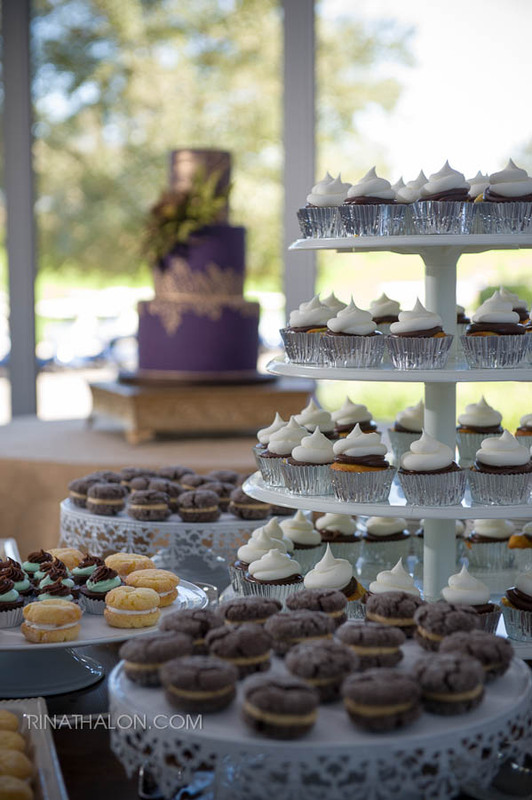 Weddings Only DJ Entertainment raised the cheer on the dance floor, while the gorgeous cake provided by Party Flavors added the cherry to the top of an unforgettable day. 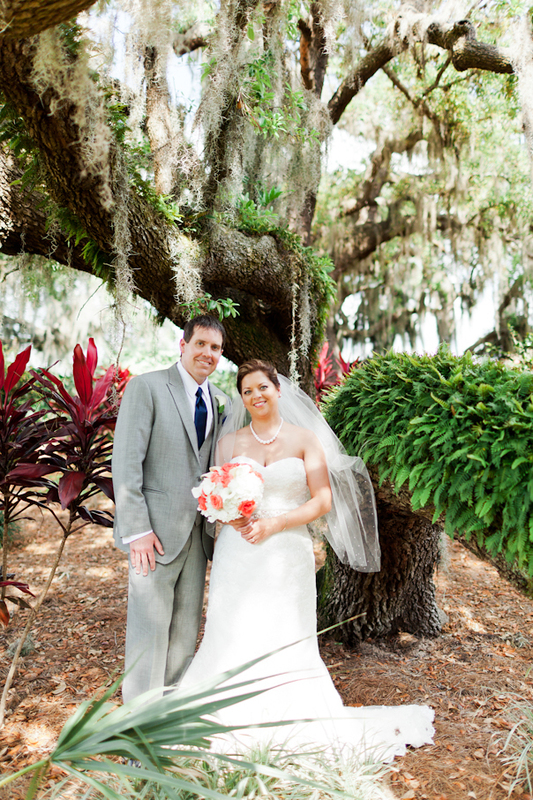 Brenda and Peter chose to visit Central Florida from Newfoundland for their destination wedding. 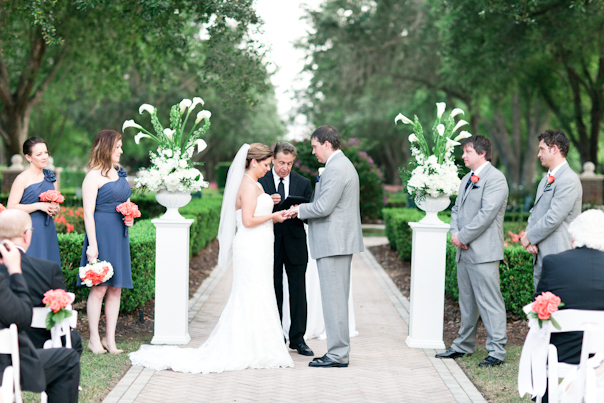 The Reunion Resort was a gorgeous location with its tropical floral and palm trees for their special day with Andi Mans Photography in attendance capturing every picturesque moment. 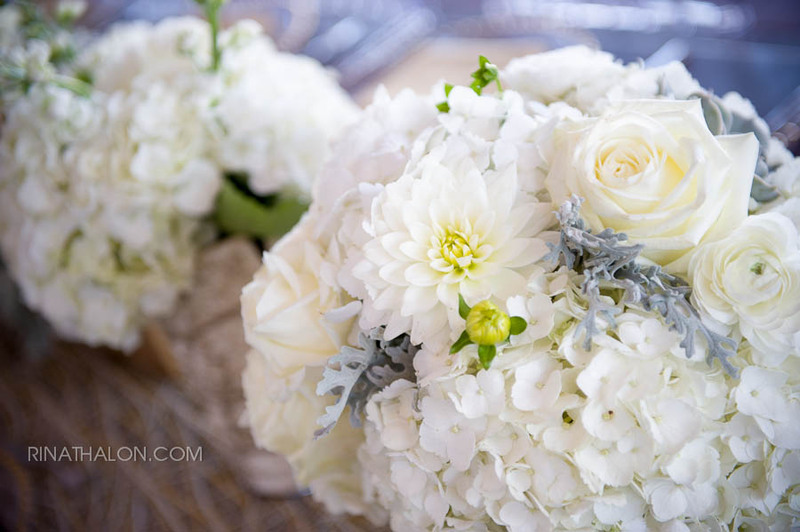 For this classy destination wedding, we chose white floral arrangements for the ceremonial and reception centerpieces for their simplistic beauty. 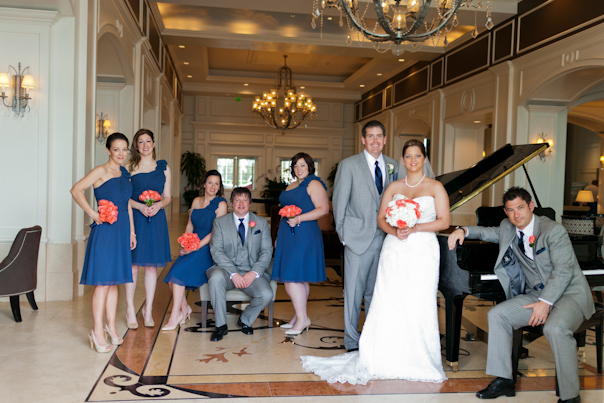 In terms of the bouquets, peach-toned roses popped against the royal blue and gray attire of the bridal party, coordinating the elegant feel of the celebration with its own twist. 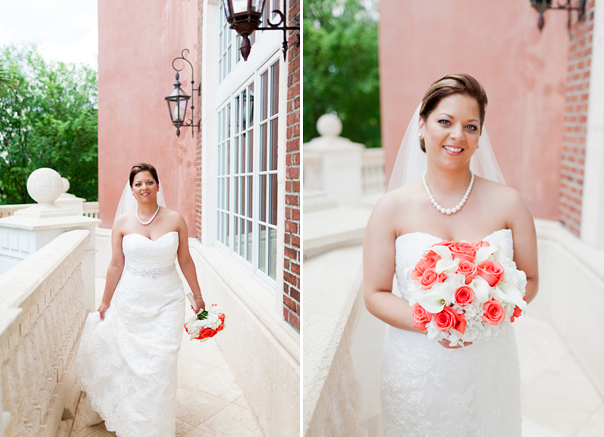 For the bridal bouquet, we paired white roses and lilies with white floral accents with the peach roses to give its own unique look to complement Brenda’s natural beauty. 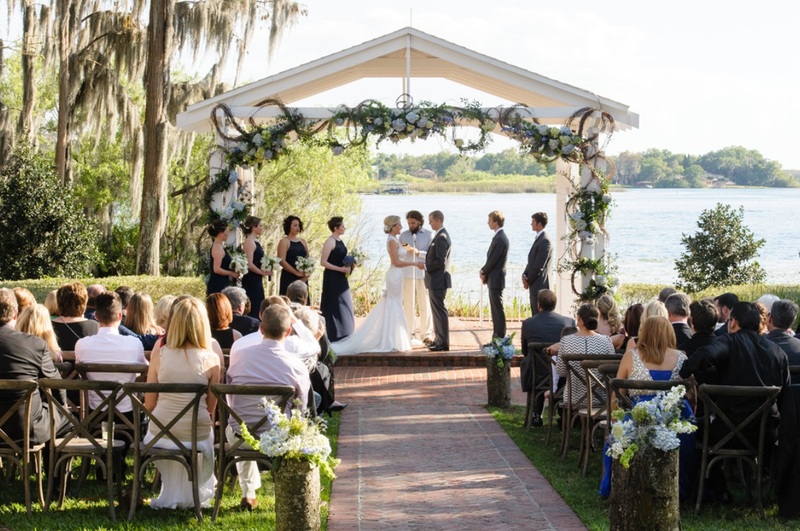 As the ceremony drew to a close, the newly-minted newlyweds and their guests transitioned to the reception. 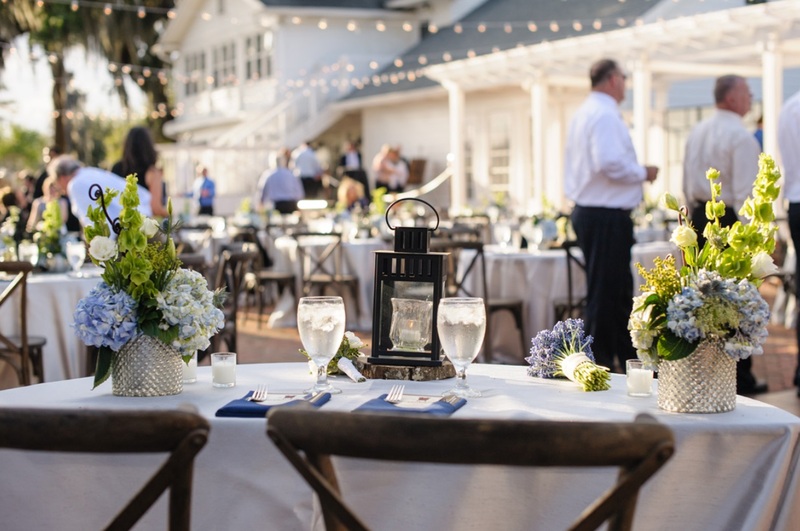 Each of the tables was paired with our white floral centerpieces and royal blue linens, courtesy of BBJ Linen, with white chiavari chairs and decor to match from Orlando Wedding & Party Rentals. 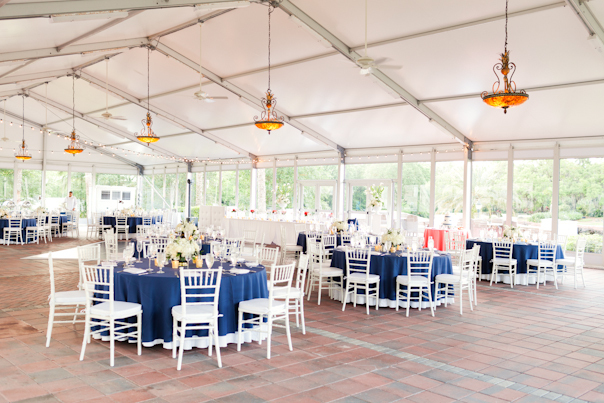 There was no shortage of entertainment with Scott Thompson from Thompson Entertainment on site, allowing Brenda and Peter to dance the night away with their loved ones in a luxurious paradise. 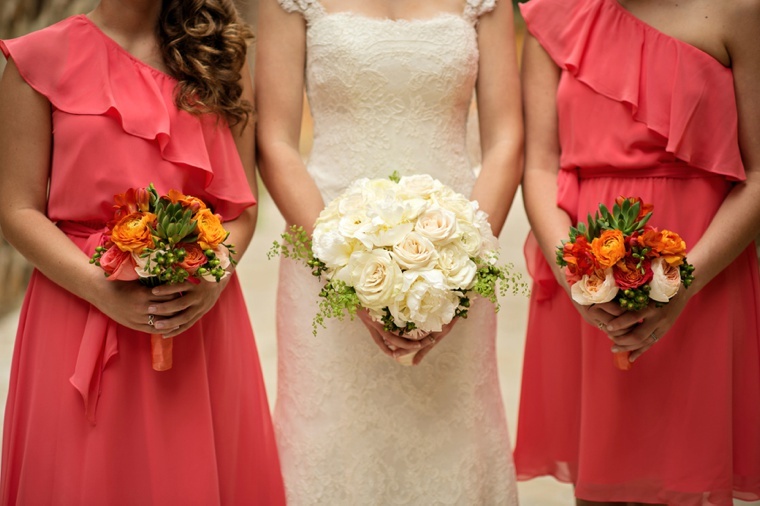 We are thrilled to be featured on Every Last Detail for being a part of Madeline and Westin’s gorgeous coral and citrus wedding at Bella Collina. 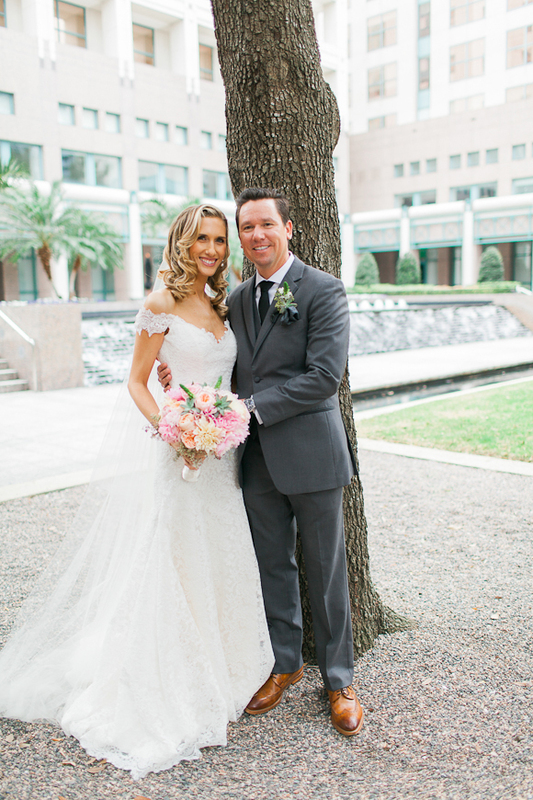 We loved working with Madeline, Westin, Madeline’s mother and Sandy, their wedding planner, to bring their vision to life. 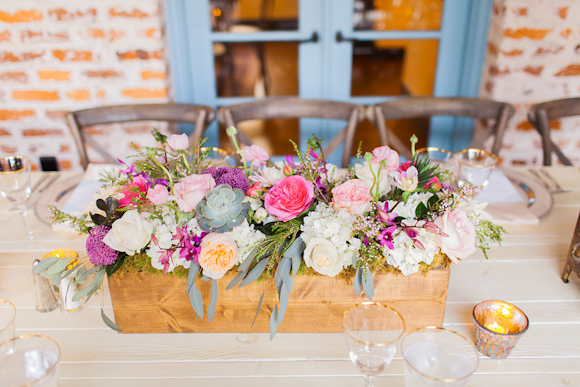 We especially loved Madeline’s kind words during her interview with Every Last Detail. 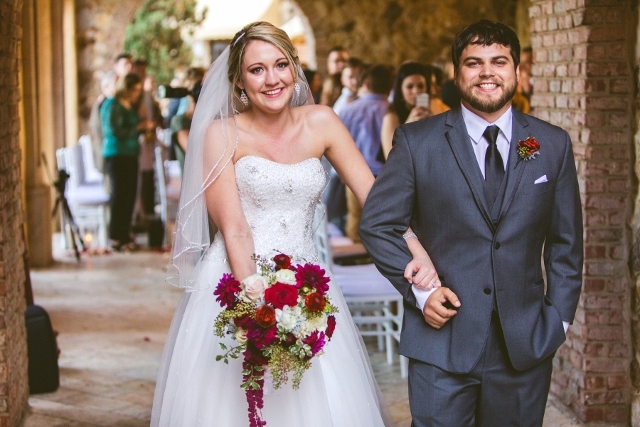 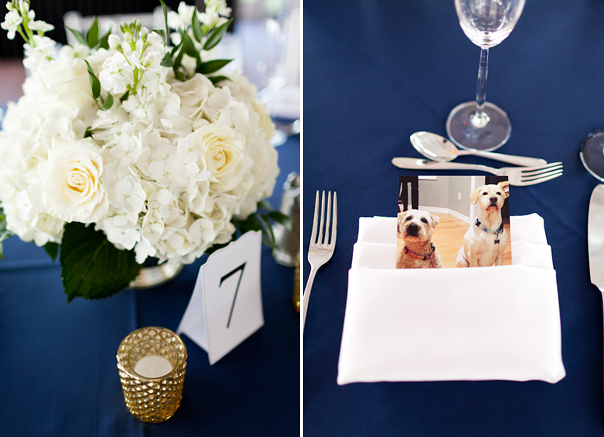 When she was asked what her favorite part of her wedding was, she listed us in her Top 2! 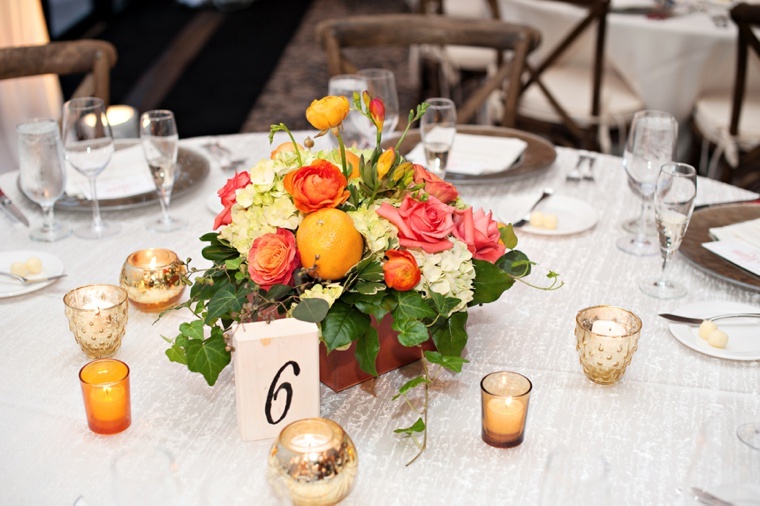 We had a blast incorporating coral and citrus into your floral arrangements and are honored you loved them so much. 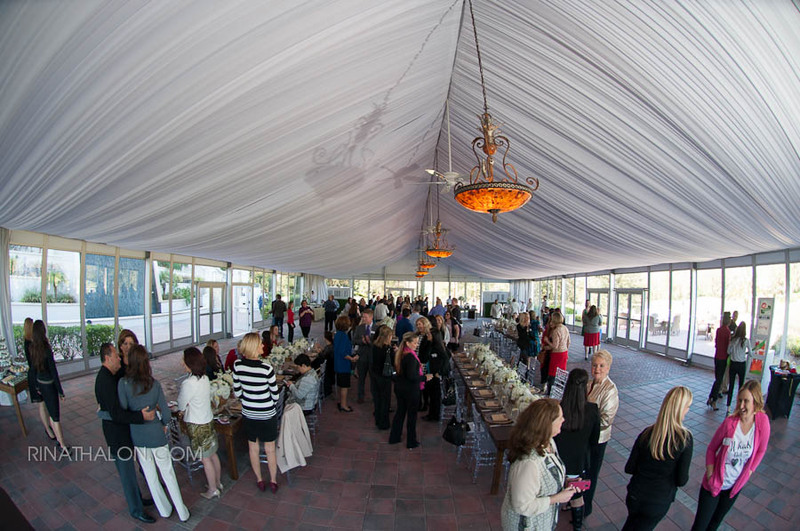 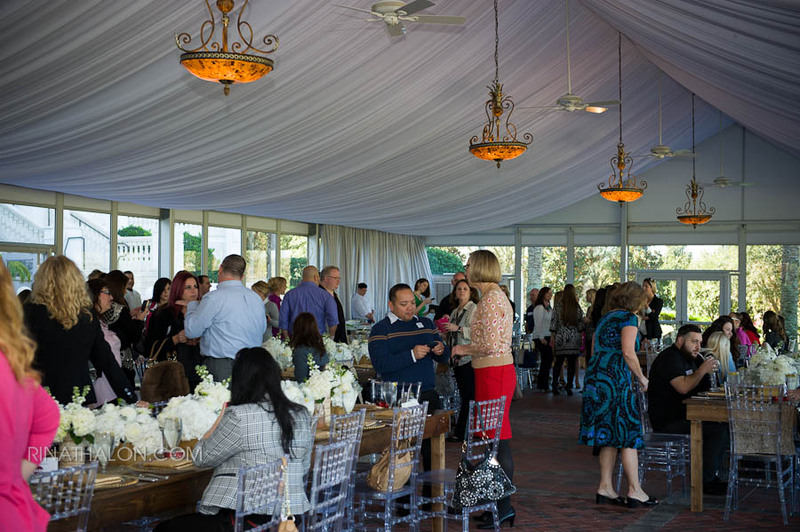 Recently, we had the pleasure of being a part of the planning and design for the Orlando Perfect Wedding Guide Luncheon hosted at the Reunion Resort. 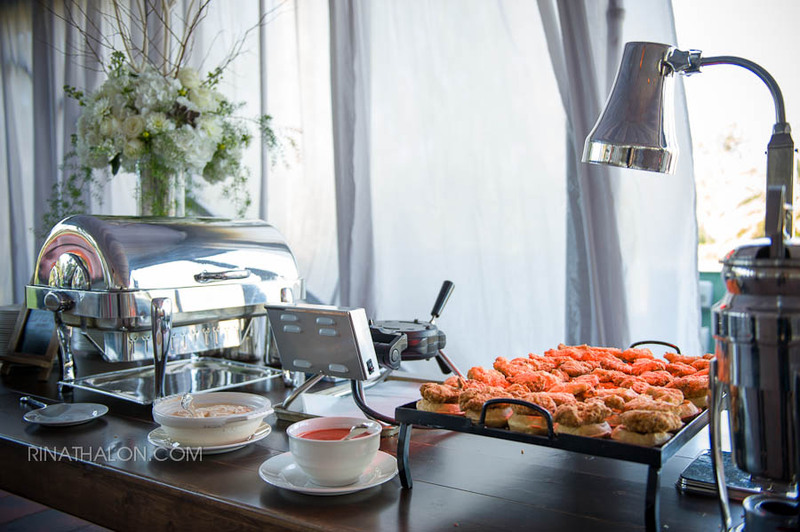 Not only did we get the opportunity to socialize with our partners in the wedding industry, but we also were able to design a beautifully-executed event for all of us to enjoy good food and spend time together. 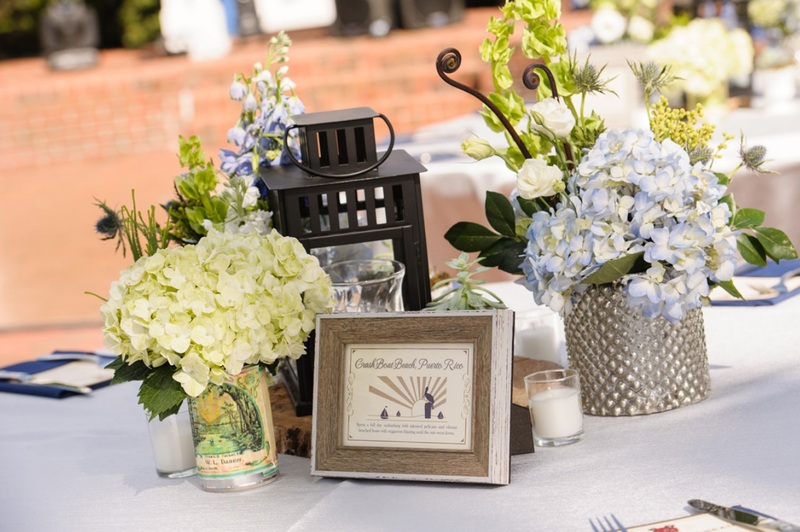 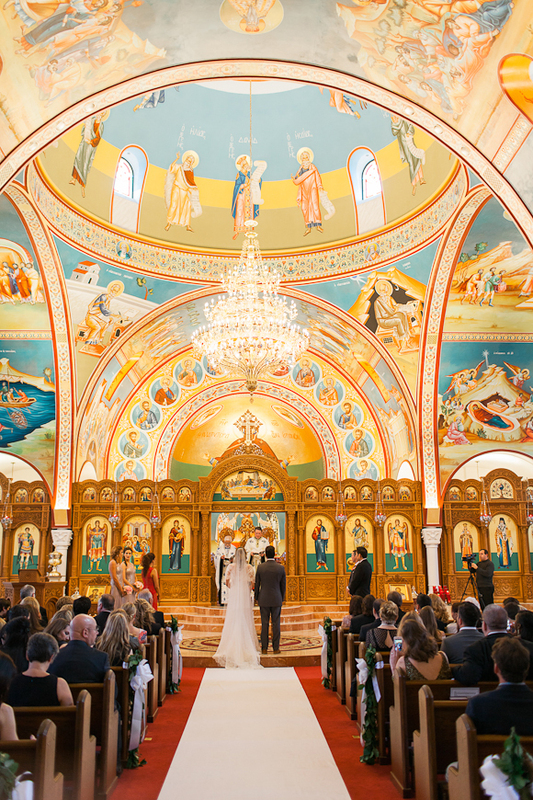 The day was coordinated by the talented Blush by Brandee Gaar team with photographs documenting the special occasion by Rinat Halon Photography Communication. 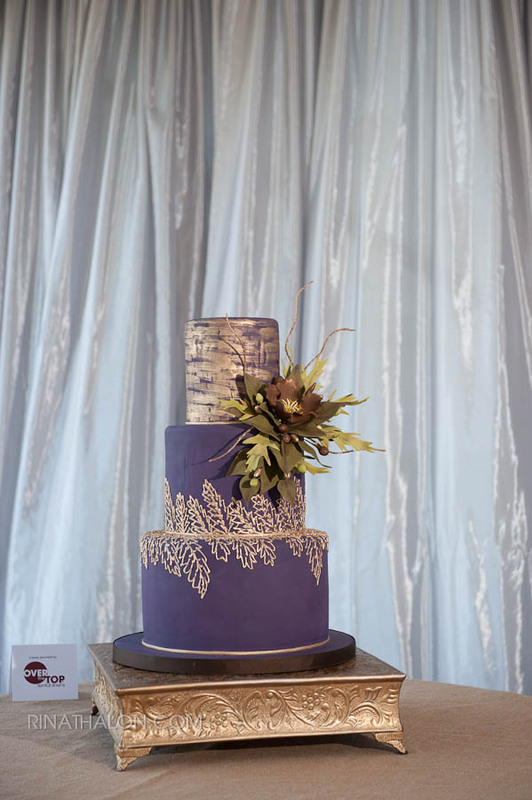 The color palette of the day was shades of purple and gold, from the tent and table runners to the gorgeous purple and gold 3-tiered wedding cake. 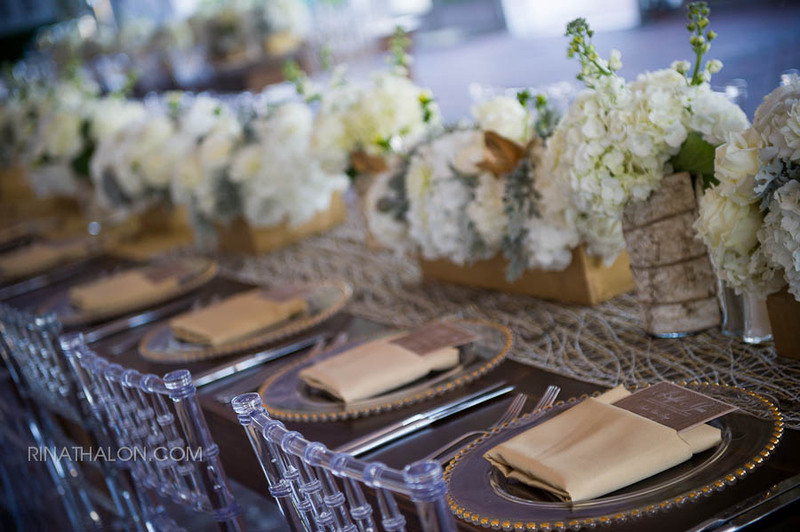 With that in mind, we stuck to centerpieces of whites, grays, and greens to complement the design. 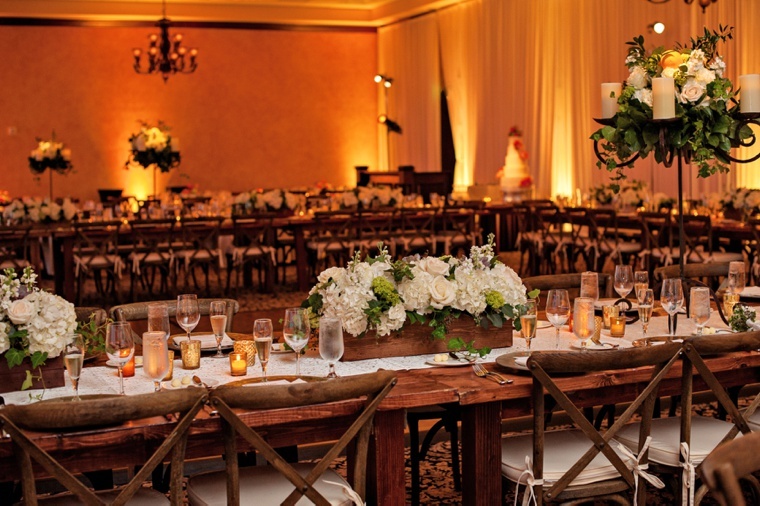 The arrangements added to the classical, yet lively atmosphere of the event.